We welcome each of you from our heart and soul to experience the love and compassion, the life transforming teachings and blessings of our upcoming Guan Yin Retreat and 2 Introduction Evenings. I am very excited about the Guan Yin Retreat that I am honoured to co-lead with Master Maya and Master Kirsten on April 8-10. I know in my heart and soul that we all will experience incredible love, soul healing, and transformation. Hear the calling of your heart and soul. 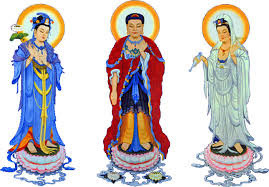 Hear the calling of Guan Yin and the Guan Yin Lineage. Come join us at this sacred event. I look forward to seeing as many people in person and on webcast as possible. I look forward to seeing you in person. • Who is Guan Yin and the Path of Service and Compassion. • How you can transform every aspect of your life with sacred practices and techniques. Introduction Evening To Guan Yin Retreat – with Master Maya Master David and Master Kirsten. Nice blog.performing Ekadasa Rudra homam is to acquire protection against the negative impacts of karmic issues and to overcome the potential threats in an effective manner.